Pet Behavior Archives - Holistic Actions! Any pet may suffer an injury or develop a problematic symptom. Especially those canine athletes who do activities like agility, flyball, herding, etc. This article applies the Holistic Medical Decision Making (HMDM) protocol to two common scenarios in agility. In both, HMDM was used. HMDM is a proven method for making sound, scientific and safe decisions for your health-challenged pets. And it works no matter what method you use to treat your pet. Even if you decide to use medications or surgery which can quickly stop symptoms. However, the goal of your treatment is probably enhancing your pet’s happiness, quality of life and athletic performance. Not just quickly stopping symptoms like lameness or anxiety with drugs. Clinical experience and hundreds of cases prove that individualizing your pet’s treatment with HMDM is a highly effective method. Rather than just doing the same thing for all pets with similar symptoms. Your Implementation: consult a vet homeopath, chiropractor, do massage, etc. Then evaluate the response to the treatment. Behaviors like timidity affecting performance. These can both be reversed by individualizing with the tools of HMDM: by putting symptoms into context and interpreting them holistically. CASE STUDY: Let’s say that your pup has a slight hitch in her gait and is running the agility course much slower than usual. Your HMDM Step 1 – Goal: To improve her speed by resolving the subtle lameness or weakness. Your HMDM Step 2 – Research: You remember that many of your friends in your classes use a great chiropractor and have seen how much chiropractic adjustments can help. Your Step 3 – Implementation: Start seeing the chiropractor. Your pup seems much better after each appointment. But even frequent adjustments don’t hold and your pup’s hitch comes back. Now you repeat the HMDM process. Step 1 – Goal: To permanently resolve the lameness. Step 2 – Research: You ask for tips from friends or instructors in agility and you learn about potentially useful exercises. Even after strengthening your dog’s core for a few weeks, the lameness keeps returning. Your HMDM goal is still full recovery and you remember that during your research, you learned that homeopathy is another way to help even more. The energetic imbalance that caused the lameness, to begin with, can be resolved with homeopathy. Homeopathic “fine-tuning” is the ultimate way of individualizing and working with your pet’s body. You schedule an appointment with a professional homeopath. Your pup runs better on some days, not as great on others, but her BEAM (Behavior, Energy, Appetite and Mood) continues to improve. Now comes the hardest part of working with your pet’s body. That is using patience and perseverance while your pup heals. 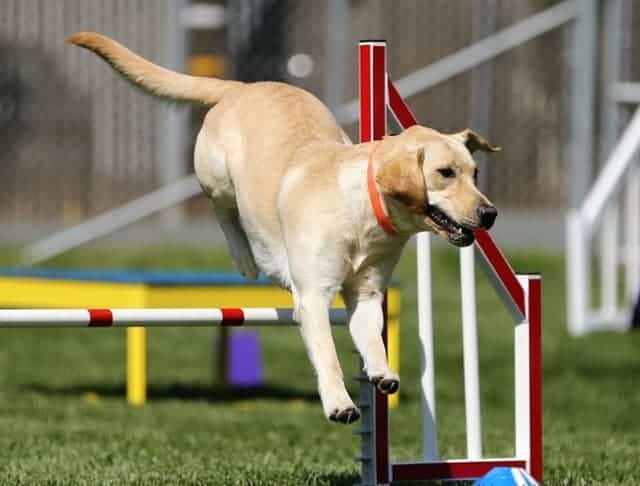 It may be a few months before your pup is ready to race through an agility course. But the wait and work are worth it because then your pup wins races like never before and just keeps getting better and better. CASE STUDY: One day in class, your friend’s 7-month-old puppy refuses to do the teeter. Every time it bangs down, she jumps, starts shaking and tries to hide. On top of that, she has started peeing submissively when she sees some people and is barking aggressively (fearfully?) at other dogs. Turns out that she had a rabies shot a few weeks earlier. Your friend knows that these are signs of the rabies miasm and asks what you would do. You recommend that she use the HMDM protocol. HMDM Step 1 – Goal: Resolve the imbalance from the rabies vaccine. HMDM Step 2 – Research: Your friend is already increasing vitality and healing ability by raw feeding, avoiding toxins and most vaccines and providing lots of physical and mental stimulation in agility. But that has not been enough. Her pup’s vitality is high, but it is imbalanced. Fortunately, she just saw the great results you had with homeopathy. You tell your friend that homeopathic treatment is a great way to reverse these symptoms. You describe how homeopathy will work with her pup’s natural vitality to help optimize her balance. HMDM Step 3 – Implementation: She starts working with a veterinary homeopath. Symptom clues lead to an individualized homeopathic medicine. After just one dose, your friend’s dog is no longer jumping when she hears the teeter hit the ground! She still doesn’t want to get on the teeter, but it’s a step in the right direction. Over time and continued treatment, your friend’s dog is finally willing to get on it. The instructor advises your friend to keep the teeter height low at first, but in a few months, it’s back up to the full height. And the happiness in your friend’s dog’s face when she runs the full course (including the teeter) is wonderful to see! Oh, and the submissive peeing and “greeting dis-order” (barking aggressively at other dogs she sees) also improve. These are other great effects from optimizing her balance with homeopathy to stop the rabies miasm symptoms. In six months her confidence is restored and she is back to living her life to its fullest. Quality of life and happiness for our beloved companion animals. Your kitty has started urinating (or pooping) on the living room rug. You went to the veterinarian. Examination and diagnostic testing was all normal. But clearly something is wrong. Now’s a great time to look at the symptoms in detail. Put them into the context of the whole environment. And interpret them holistically. The urine tests were clear, so there’s no indication of urinary infection (which is a rare cause for this symptom in cats anyway). Nothing that you’re aware of has recently changed. But your kitty disagrees. You know that cats can be fierce hunters. But did you also know that they can be exquisitely sensitive? In fact, the majority of “inappropriate elimination” (this is vet speak for the syndrome even though your kitty probably thinks that peeing on your good rug is totally appropriate) are due to some slight environmental change that your cat doesn’t like. Scoop the box after every elimination. Cats are fastidious creatures and many prefer not to use a soiled box. One clue is that these cats sometimes only dig in litter that’s been freshly added to the box. Change the type of litter you use. Litter preference (and aversion) is commonly seen so if you use a claylitter, try a sand type (clumping one). Choose an unscented litter and avoid litter deodorizers (Use Zero Odor spray to eliminate litter area or other odors). Wash the litter box thoroughly. Even better, get a new, bigger one. With no odor. 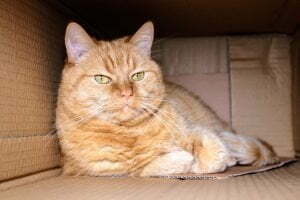 Some cats will not use a box if they detect that the box has even a slight smell. 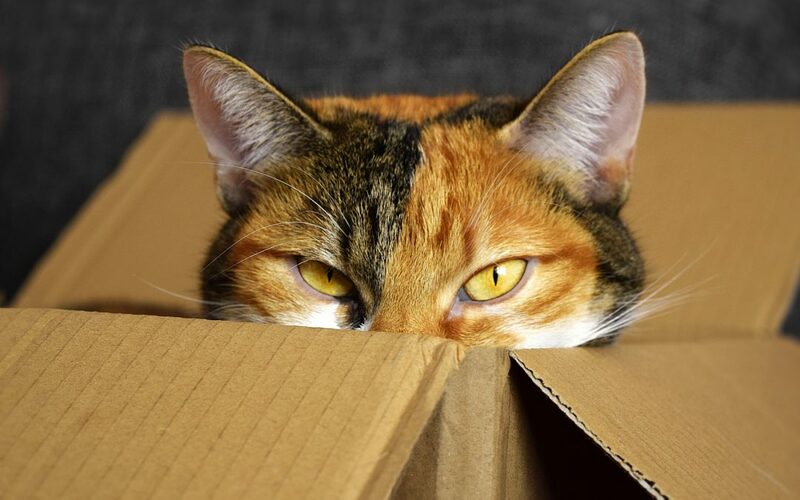 In fact, some cats would prefer to urinate on the clean brown packing paper in the new cardboard box you just got from Amazon! Add a piece of carpet that sticks out from under the box. Cats can develop a surface preference. They seem to like the feel of specific textures under their feet when they urinate. These cats will pee in the box while having their front feet outside the box on the carpet. Move the box to a quiet, protected area. Your cat may be one of those with a location preference. Move the box to her preferred location to prompt her to use it again. Once she is doing so for a few days, you can slowly start moving it to a more convenient (for you) spot. Making these simple changes can eliminate the problem by addressing the environmental trigger. Even better is to address the underlying internal change that may have suddenly made you cat over-sensitive to her environment. Join us as a Holistic Actions! Academy member to have our faculty help you help your pets. Some of you have asked, how behavior problems and brain dis-eases (“dis-ease” is another way of saying imbalance) are connected. All parts of your pet’s body work together as a system. Not like a car made up of separate parts. A car may function normally with a broken tail light or window. You may not even know that there is a problem. This is not true of a computer or an animal. The living being is a unified whole (as in “holistic”). Sensitive feedback mechanisms connect every part of the body. For example, it is the brain that sees and hears. The bacteria that live in the guts effect the immune system and emotions! All parts of the body work together. Daphne is a great example. She’s a six year young rescue Border Collie. Four years ago she started developing some fearful behavior. As the years went on, her odd behavior and fears worsened. She became over-sensitive to many noises and other environmental stimuli. Then she started having seizures and was diagnosed with epilepsy. Her seizures were directly related to her odd behaviors, anxieties and fears. At first her fears and seizures were rare, but over time they became more and more frequent. As her health worsened, her previously joyful life got smaller and smaller. She had to stop participating in her favorite agility classes, hikes, etc. However, now that her seizures are under better control she is starting to get her life back. And her behavior is better. Why? 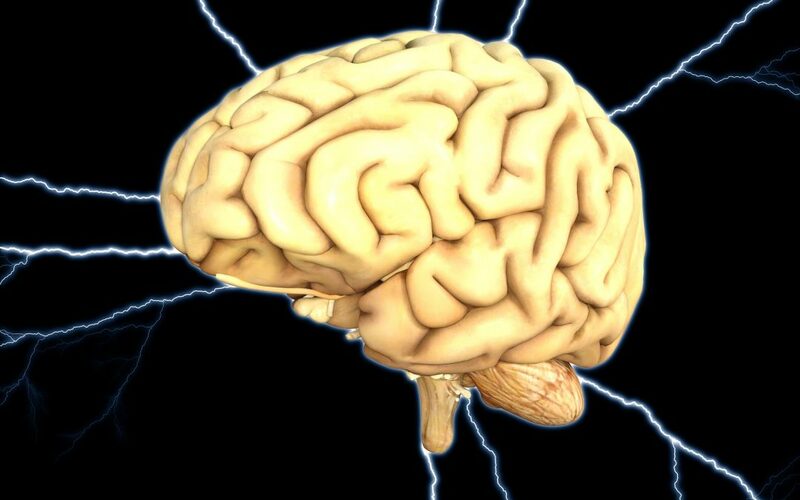 Because the seizures, like other brain dis-eases, are directly related to her behavior. And there are very specific Holistic Actions! that you can take today which can help. You can learn more about how to help your pets with behavior problems and brain dis-eases by joining Holistic Actions! Academy.